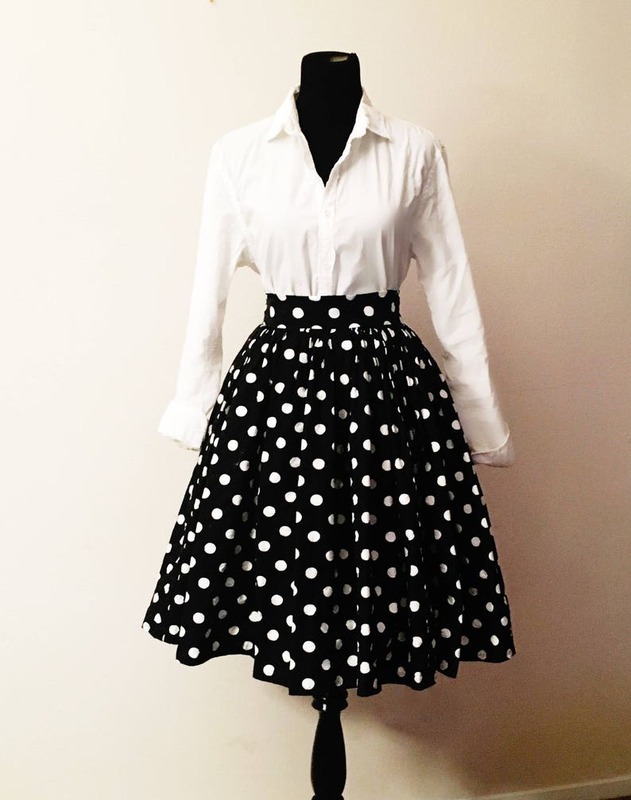 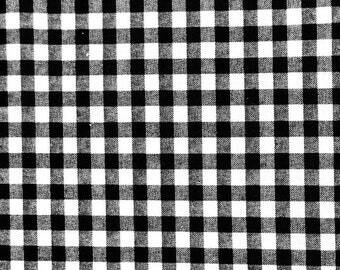 This sassy black and white with medium sized polka dots is handmade and gathered at the waist. 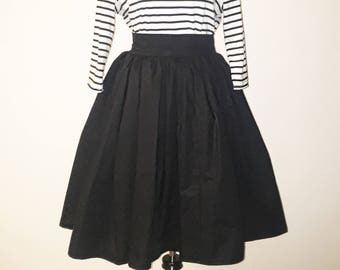 To give this skirt it's full featured look a tulle lining is added underneath. 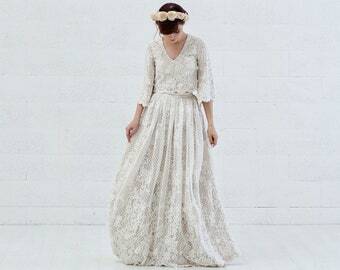 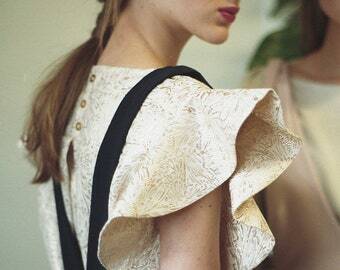 It sits high on the waist and the length is measured from the waistband to just below the knee. 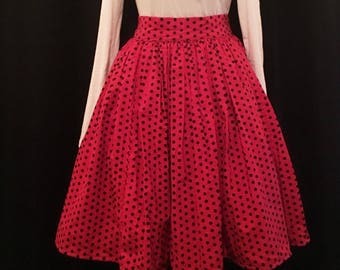 This skirt would look great with an off the shoulder top or a buttoned down collared shirt! 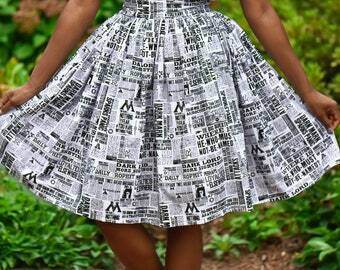 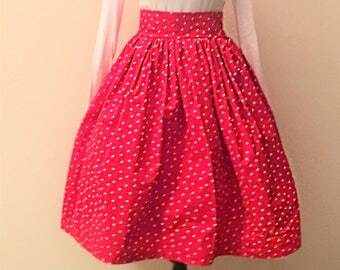 This skirt is also offered in 20 inch length with as a circle skirt pattern.